Product prices and availability are accurate as of 2019-04-23 09:12:36 UTC and are subject to change. Any price and availability information displayed on http://www.amazon.com/ at the time of purchase will apply to the purchase of this product. 3" Closed Tactical Folder. 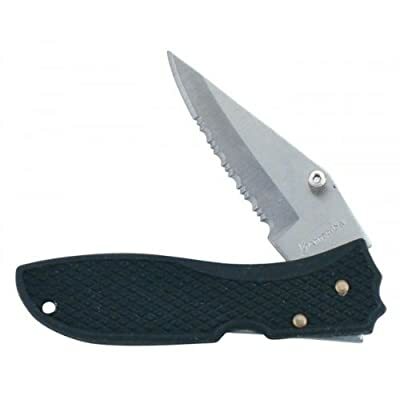 Stainless Steel 1/2 Serrated Blade with Thumb Screw for easy operation. Lockback function. Lanyard/Keychain ready. Great little pocket knife. Very handy to have around.